Meet Wellington! Shop Tax Free! It's Going to be Quite the Week! Shop late TONIGHT! Fourth Street Market! The sun is shining and it is a gorgeous day! 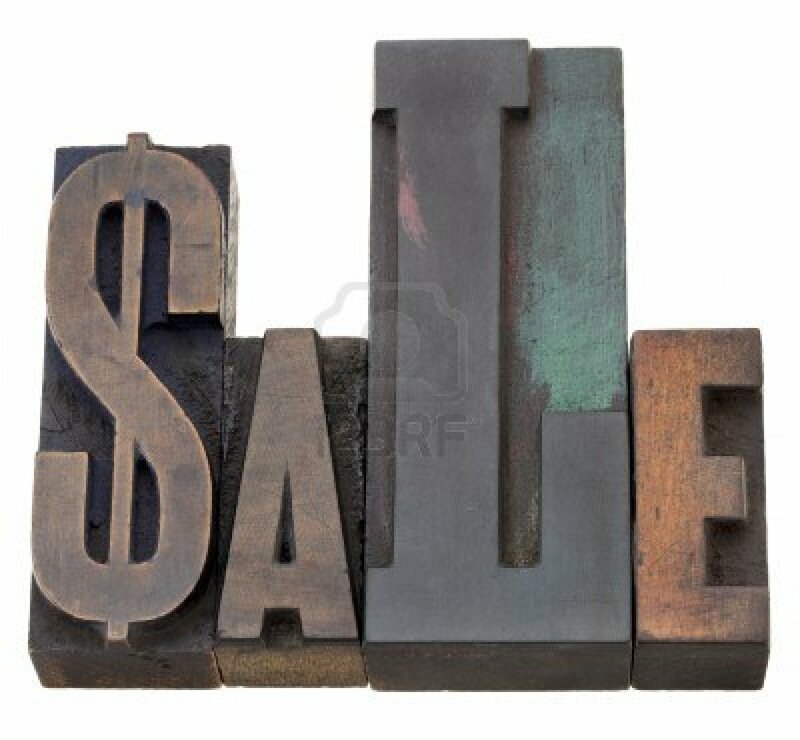 I will be here ALL week so I thought it is THE perfect time for a SALE! Shop TAX FREE all week long!! 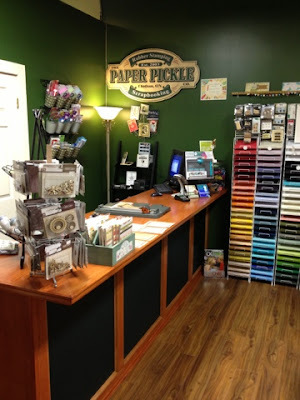 You know The Paper Pickle is all about keeping the products fresh and exciting! Check out our latest addition...Wellington. 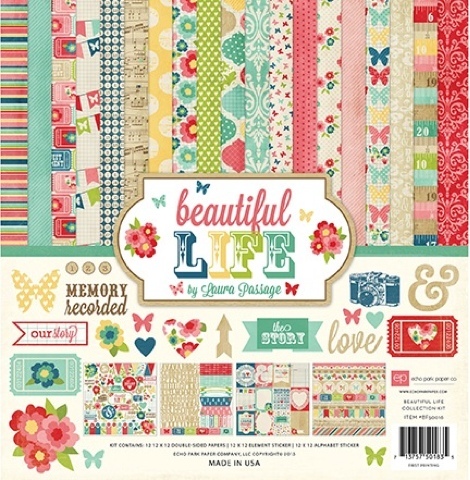 There are some great stickers, card kits, 6x6 paper pads, clear stamps and more! Oh my. The market is really starting to come along. There were many new booths. This week is going to be great...I can just feel it! remember...The Pickle is open until 8 tonight! I am here all week! Pop in and say hi! Ok. Ok. Please don't hate me. 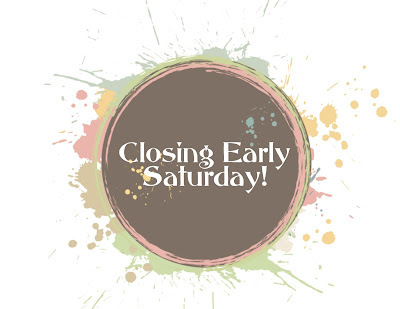 I don't do this very often, but I must close the store early tomorrow (Saturday, July 27). The Paper Pickle will be open from 9:30-1:30. I will admit it is for completely selfish reason (a concert out of town!) and there was no one to cover for me! Please accept my apologies. I promise to make it up to you next week! I will be in the store all week and I have some FUN ideas! PS....What do you think of the NEW blog layout/photo?!? What is that saying..."If you want something done, ask a busy person"? Life here is extremely busy as I work on stationery for FIVE bride's weddings this weekend, staying on top of ordering in new product (yay!) and do my usual day to day "jobs". But somehow I am managing to get things done here to make the new space even more beautiful. Check out my new shelves I hung last night after the market! 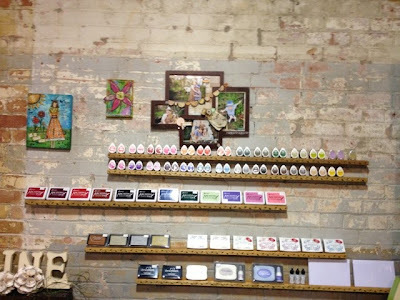 I love how the ink pad colours pop against the rustic brick wall! Notice that we have ink in the store again?!? That can only mean one thing....more stamps to follow! 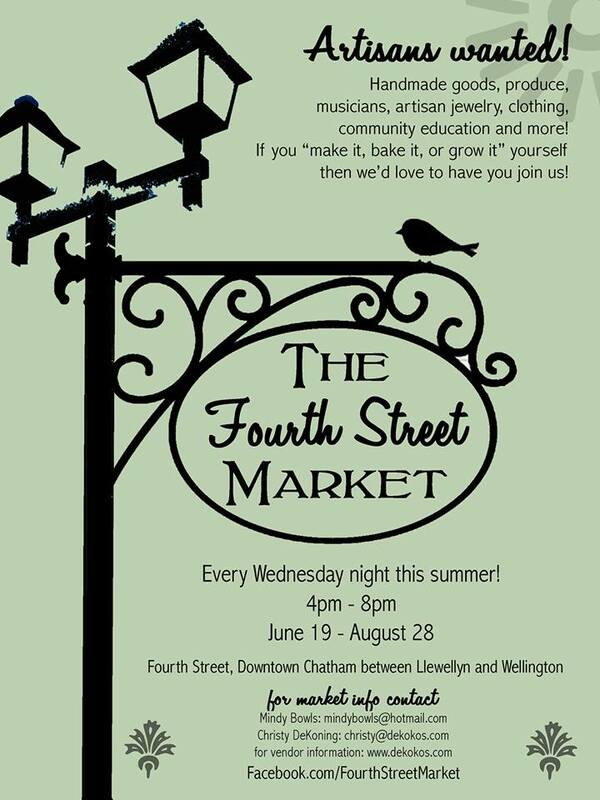 Thank you to everyone who came out for Wednesday's Fourth Street Market! 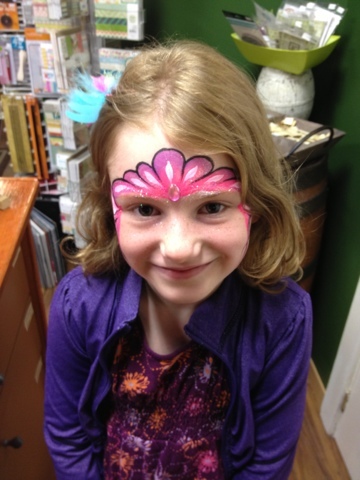 There were many new vendors including A face painter and balloon sculpturer named Dez and Louie (226-229-1444). They do birthday parties and special events. 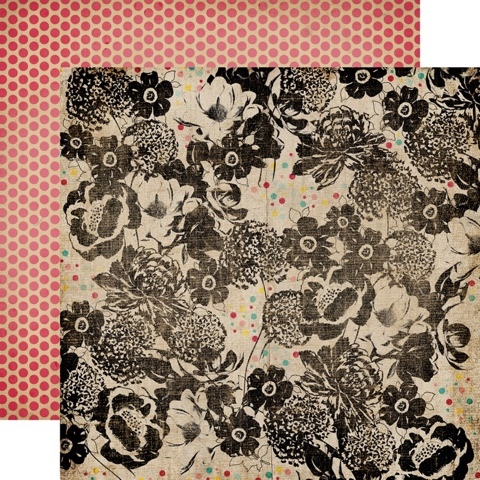 Have a look at Julia's gorgeous design! She was so proud of it! 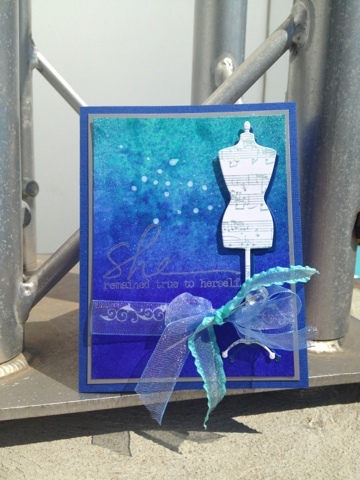 Select Spellbinders are 50% off! Lots of other goodies too! Great time to stock up! 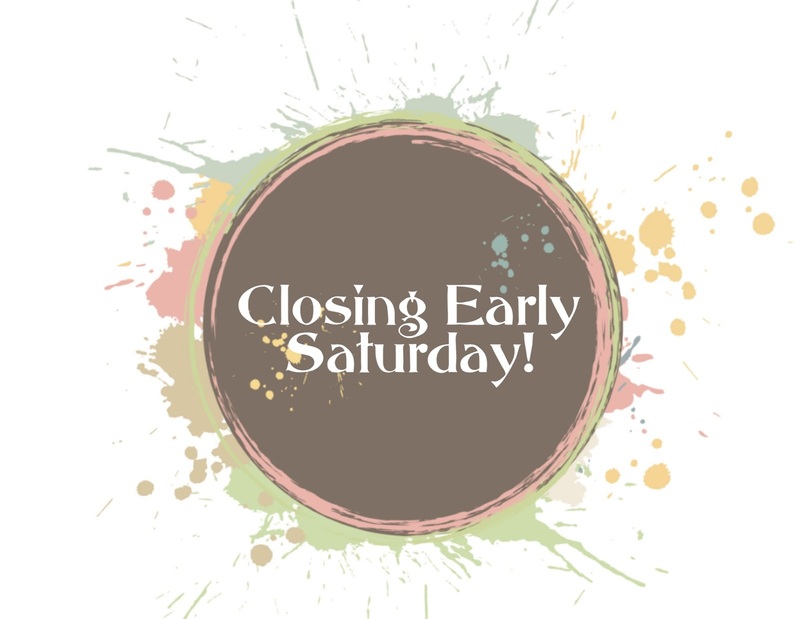 Open til 4pm today! Enjoy the day! Oh my! I am in THE best mood today! Have a look at my beautiful new counter!!!! Finally...a nice BIG open space to work and room for your purse when you are checking out! I'm not sure if I told you or not, but my goal is to have the store 100% complete by September. Thank you once again for your patience with me as I figure out what the heck I'm doing over here in my new space! 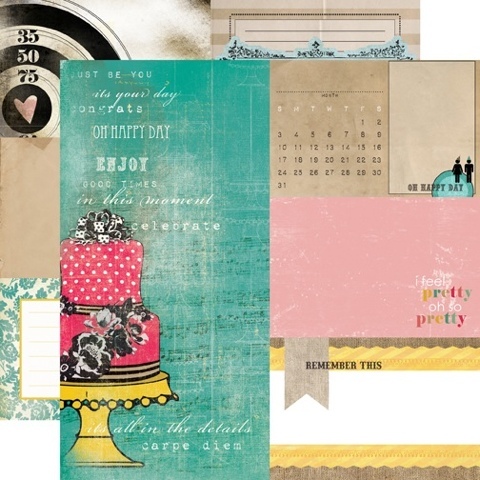 I won't tell you everything I am working on, but I can say that cardmakers/stampers will be really happy with me come September! Since I am in such a good mood, why not celebrate the day with a little sale! Selected Spellbinders dies (including the ones above) as ALL 50% OFF! We also have an excellent selection of other sales items. Check out our table ironing board outside the door! It's Wednesday! 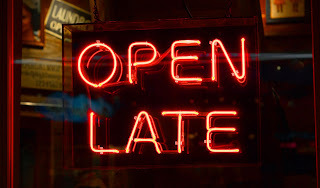 That means we are open late! Open until 8PM tonight. I have heard from Christy that there are many more vendors joining the market today (open 4-8pm)! 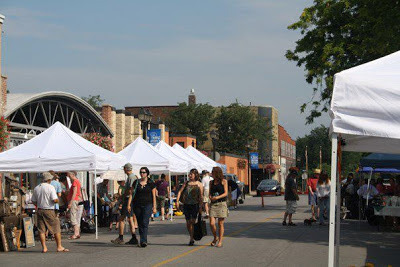 What a perfect time to check out the market if you have not been here yet. A couple of my favourite booths include Henry's Pesticide Free Produce (the beans and new potatoes are so delicious!) and Homebaked Kitchen Company. My sister Jen has been whipping up different baked goods each week! All baked goods are baked same day so they are SUPER fresh! Another great booth is Eat What's Good. If you are into healthy, vegetarian salads, Emily (who is actually my niece!) can help you out!! Hope your day is going as well as mine! It was one of those weeks! Three(!!) orders came in with beautiful new product. Check it out! 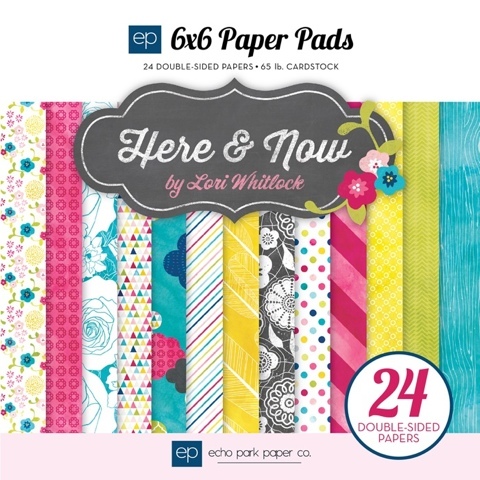 Products like Echo Park's Beautiful Life and Here and Now both in 6x6 pads and 12x12 Collections! Ok. This line is unreal. 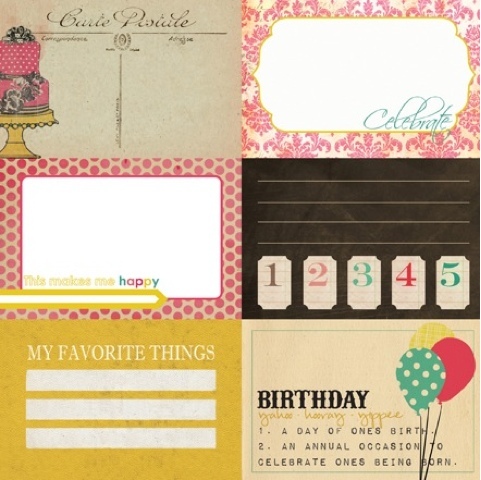 Perfect for page layouts, a little project life style scrapbooking, or cards! I love the colours and style SO much! What do you think?!? 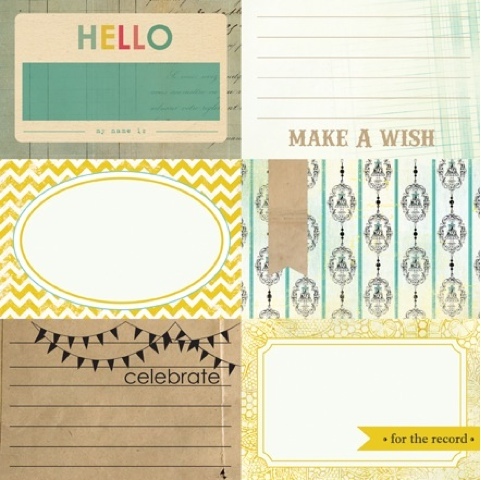 I can see using this double sided paper for a quick and easy tag! We also have My Little Yellow Bicycle's Forest and Fern! I absolutely LOVE both the boy and girl lines. I brought in12x12 paper, 6x6 paper pads, stickers and transparencies. 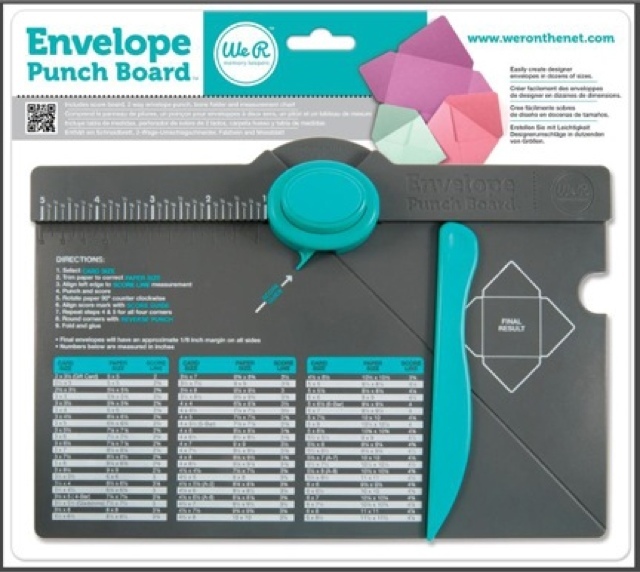 The Envelope Punch Board is Back! This is a tool that absolutely EVERY crafter needs! I have always said I would never make an envelope in my life and yet, the first time I tried this tool, I wanted to stay up all night making envelopes!! The best part is it is only $21.50....very reasonable! 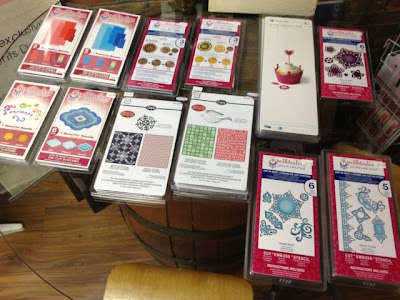 Many dies are back in stock! I just counted, and we have 65 unique designs on hand! The selection is amazing! Hope you are all enjoying your weekend! If you have time, pop in and see me today! Open until 3pm!! What do you think of my card?!? 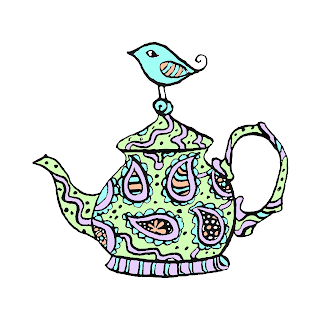 Craft-Tea Time happening TODAY at The Pickle and Dekoko's until 2pm in the courtyard on this beautiful day!!! Work with the new Dylusions sprays, rub-ons, ribbon, dies and more! AND Dekoko's featured drink is my absolute favourite...peach ice tea!!! Life could not get any better than this! So this is another one of my MOST favourite times of the year. This is when ALL the companies release their latest and greatest products! You may remember the show being called CHA Summer. This year it has new name and a new location. 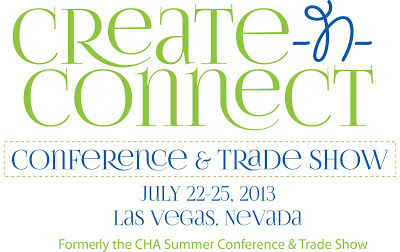 Create-N-Connect will take place July 22-25 in Las Vegas. 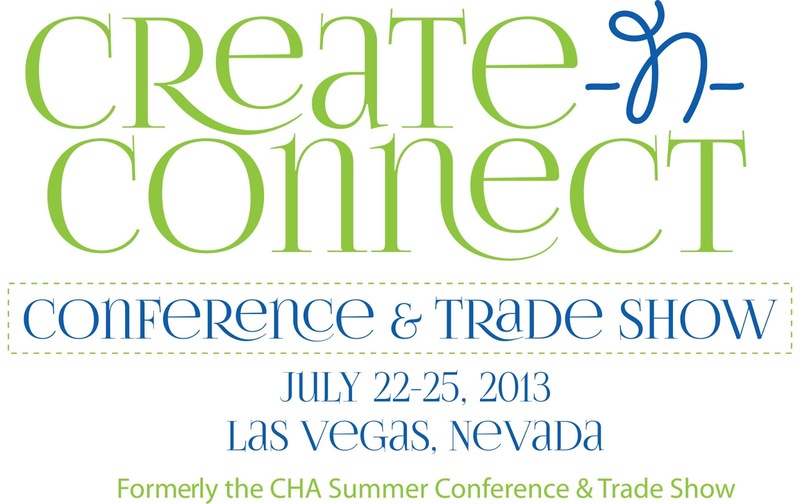 I chose not to attend as Vegas + Me + Summer = A Sweaty Mess. I have found a much COOLER way to see all the latest products and maybe you can help me choose the fall line up of product. So I have a little homework for you. Be sure to check The Scrap Review's blog regularly and when there is anything you just can't live without, shoot me an email at thepaperpickle@gmail.com (if you are shy) or comment below on the blog (so we can all join in on the fun)! I mean, why should I get to have ALL the fun in deciding what to bring in?!?! Just as an FYI, The Paper Pickle has access to pretty much every company out there. Special orders are possible! Just let me know what you are looking for and I will check into it. More times than not, if one person loves it, so will many others. 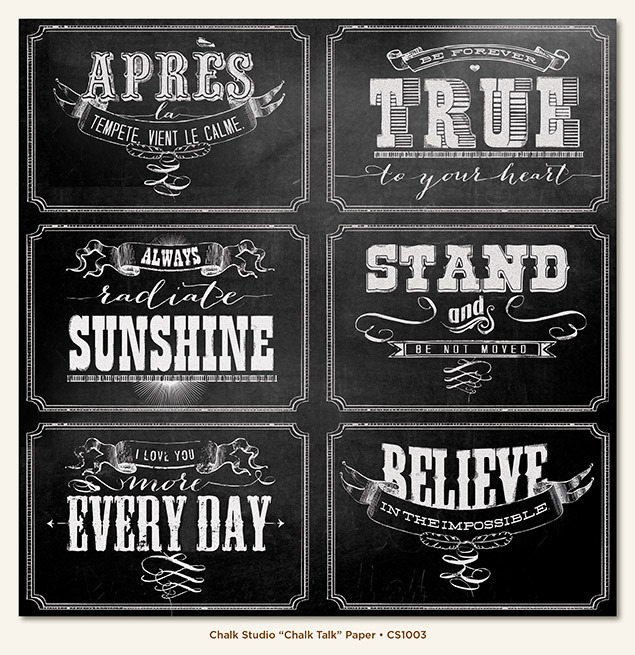 I am all about making the store a place where you can find all the latest and greatest!! The store will be open until 8PM tonight to coincide with The Fourth Street Market. 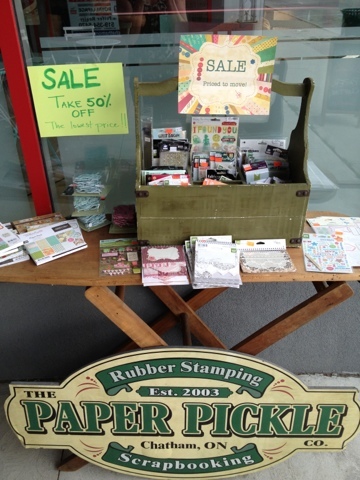 Stop in and check out our sidewalk sales, latest product (ribbon lovers are in for a special treat today!) and shop the market!! This is going to be the week of The Pickle! Do we ever have a week planned for you! I felt bad that I didn't really give you much notice about our sidewalk sales, so I have decided to extend the sales! Shop our sales tables with prices up to 90% off. 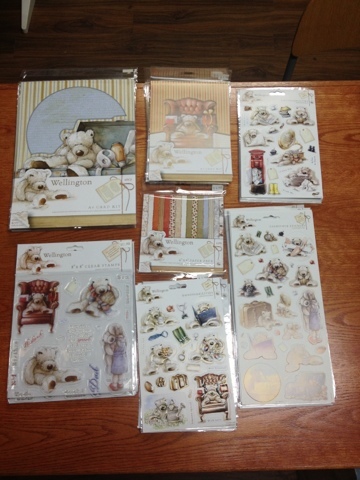 Items include embellishments, stickers, rub-ons, 6x6 pads, 12x12 Collection packs, etc. Seriously, it is time for some of this beautiful product to find a good home. All prices have been drastically marked down.....check it out for yourself! The market will be taking place Wednesday from 4-8pm. 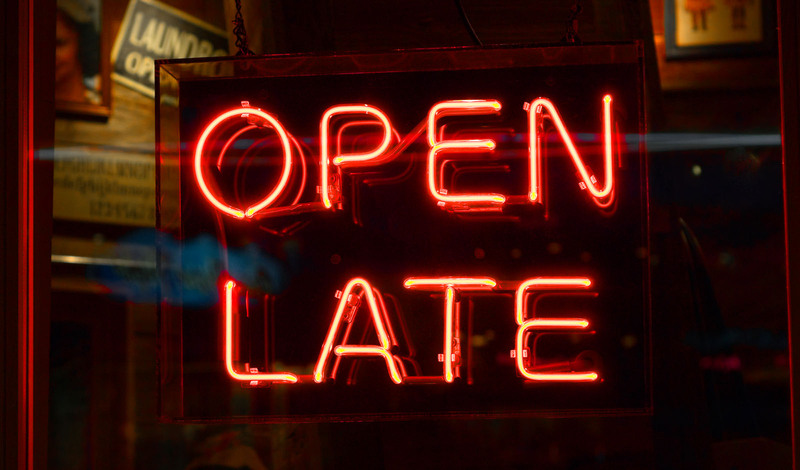 That means The Paper Pickle will also be open late! Shop from 10am-8pm EVERY Wednesday this summer! This week is going to be extra special. I hear there will be LIVE music! Homebaked Kitchen Company will also be making an appearance with her delicious baked goods. Eat What's Good will be there with her healthy AND delectable salads and bean fudge (you got to try this! I still cannot believe it is made with beans!). Fresh veggies are starting to come on strong and will be available. Hope to see you out and supporting local small businesses! 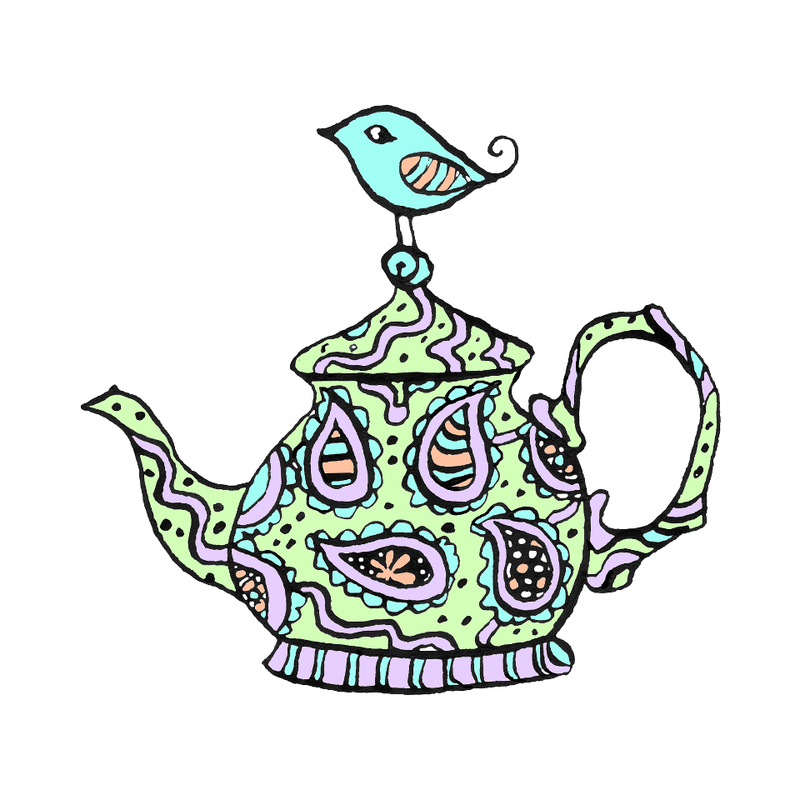 Well, this Saturday will be the SECOND Saturday of the month so that means it is time for another Craft-Tea Time! Join The Paper Pickle and Dekoko's anytime between 10am and 2pm for a craft and a featured drink....ALL for $5! A steal if you ask me! 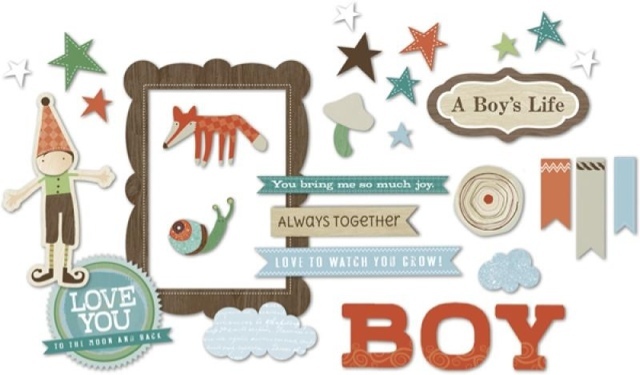 Over the past couple of months, we have made a Mother's Day card and a Father's Day card. 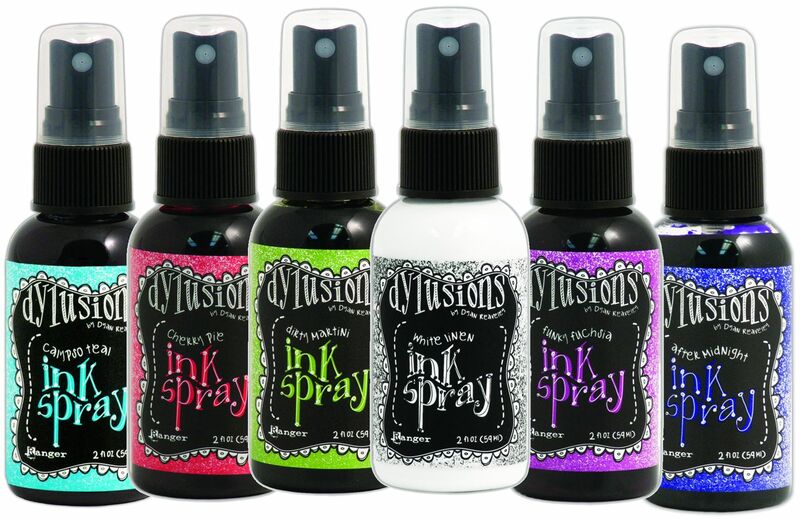 I am not quite sure what the theme of card this time, but I do know that I will be working with the new Dylusion sprays! Woo hoo! Who's ready to play?!? I am so looking forward to this incredible week! Hope to see you taking part in some of the fun! Stop in for our Sidewalk Sales! 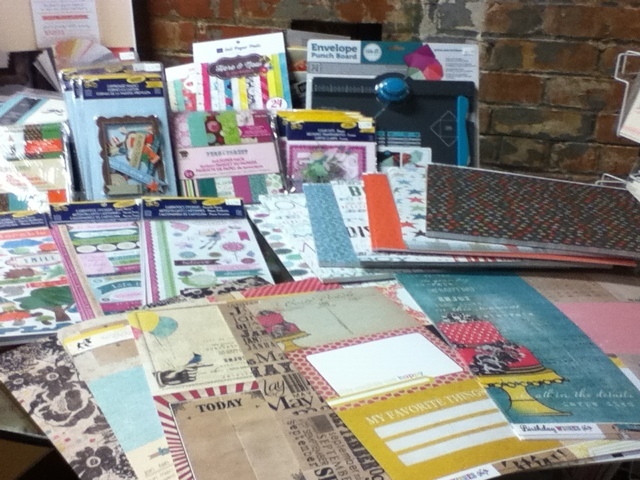 A great table with awesome paper crafting products...NOW take an ADDITIONAL 50% off already reduced prices!! Great sale table at Dekoko's too!! It's Wednesday! 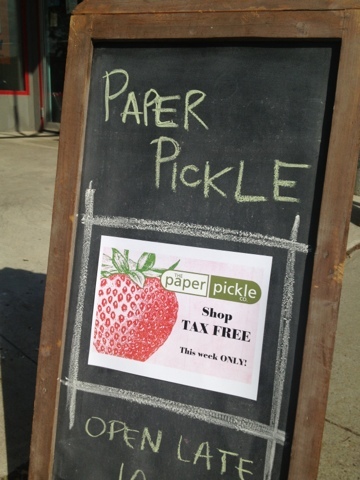 That means The Paper Pickle Company is open until 8PM tonight! 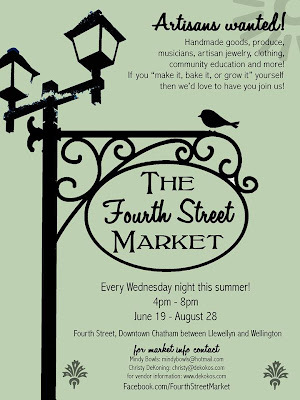 The Fourth Street Market will also be taking place in front of the store! Get some fresh produce, baked goodies and handmade crafts!